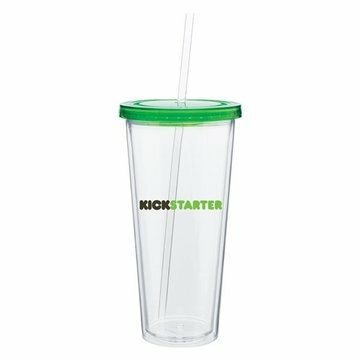 20 oz acrylic double wall tumbler with colored threaded lid and clear straw. Huge hit! Everybody loved it! the material used is of sturdy material. It looks quite good, as well. Overall it is fine, I am happy, it is great for me. Rosy helped me to achieve what I wanted while remaining within an affordability range. Everything on time, done correctly! Rosa really rocked on it! It was a great promotional offer. Alicia is a great Customer Service Rep and hope to be able to follow with him if I have any questions or concerns regarding the product.